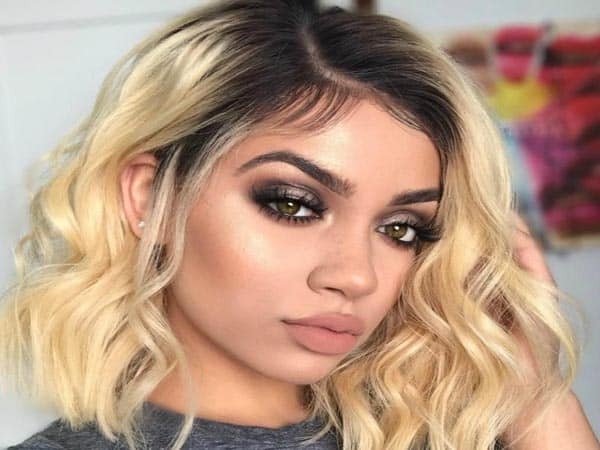 The recent years, lace front wig hairstyles becoming more and more popular with our favorite celebs and in everyday life. A few years ago the idea of wearing a wig, for anyone under the age of 75-years-old, was a bit of a stretch; seen as unstylish, outdated and made mostly for your elderly auntie or an option for chemo patients. Fast forward a few years and now girls in their early twenties are sporting wigs every day, and I can safely say, that among my own peer group, it isn’t just me, as a woman of color, sporting wigs. It’s a fashion-forward choice for twenty century. What is lace front wig hairstyles? 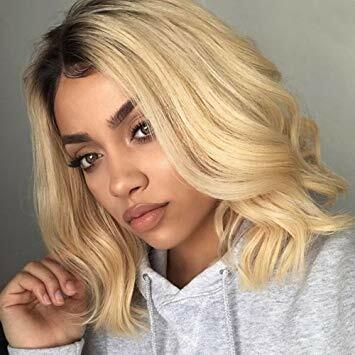 1 What is lace front wig hairstyles? 3 The lace front wig hairstyles. 5 Where can you buy a good wig? First of all, lace front wig hairstyles or a lace front wigstyle is a special type of hairpiece or wig in which human hair is tied by hand to a sheer lace base which goes over the scalp. Full lace wig may have a base made entirely of lace. Moreover, full lace wig hairstyle can be pulled into a high ponytail as opposed to lace front wigs. If a lace front wig is pulled back, it is usually obvious that it is a wig. In addition, lace front wig hairstyles are more common and the remainder of the wig is made out of a less fragile material which is less susceptible to ripping or tearing than the lace. The lace front wig hairstyles allow the wearer to choose a hairline. The lace is only in the front half of the wig, to allow the wearer to part the hair any way he or she wants. Especially, a protective style is exactly what it says about lace front wigstyle. A style to protect your natural hair from heat, weather and color damage, or simply a temporary measure whilst growing your hair. As time went on and more celebs started rocking a wig, we realized how versatile they could really be. You could be a redhead with big bouncy curls one day, sport a sleek straight hairstyle, or go for a blonde pixie cut before you’ve even finished the week without causing any damage to your natural hair. Now, Layla will give you five reasons why lace wigs hairstyle is a protective style. Firstly, lace front wigs hairstyle will help you easy to care for hair underneath. No need to sacrifice those much needed deep conditioning treatments. Wigs provide you with the freedom to remove them whenever you feel. And continue practicing your natural hair regimen without missing a beat. Secondly, lace front wigstyle is the best way to cut your morning routine in half. Who really has time for a 45-minute washing hair routine every day? If you want more time to unwind each evening, lace wigs hairstyle is a great option to help you reclaim your time. Next, the endless versatility of lace front wig hairstyles is really useful. You only have one head of hair, but wigs allow you to try almost any style your heart desires. Want to rock a short pixie one day and big, tousled curls the next? You can have it all and more with a good wig collection. Finally, the lace front wigstyle will limit bad hair days. For example one of the more frustrating feelings is waking up only to realize that your hair has no plans to cooperate with you. Wave goodbye to bad hair days with a wig. The beauty of wigs is that there is almost a 100% chance that your style will look on point no matter what side of the bed your natural hair wakes up on. The lace front wig hairstyles. On the other hand, A Lace Front Wig is little different from a full lace wig. The lace front wig hairstyles attached to the front edges of your head, along with your hairline where there is often a lace panel. The lace is often 2-3 inches wide at the front. We use a kind of material which is stronger and thicker to make the rest of the wig. And the hair strands attached in wefts to this material. The rest of the base is thicker but still comfortable. Lace front wigs square measure sometimes glued at the front and have straps that may be tightened at the rear and combs at the sides to mend them securely to the pinnacle. As full lace wigs, front lace wig hairstyle provides the feeling of a natural looking hairline because the lace is almost invisible. The price of these wigs tends to be cheaper and more affordable to customers. They are also simple to wear even for first-time wig wear. The full lace wig is a popular kind of lace wig. It is constructed from a lace cap that covers the whole head 100% human hair is knotted into this by hand. With a full lace wig, you can create a parting anywhere you want. Or you even can wear the hair up at the back without detection that you are wearing a wig. Basically, it is a full hand-made wig, so it is breathable and light on the head. Moreover, you can have a realistic appearance grow along the scalp. We can easily point outs a lot of advantages of full lace wigs hairstyles compared to other a lace front wig hairstyles. First, they are much more versatile, can part as every way you want. The second benefit we want to mention is that full lace wigs with lace all around available for being worn a high ponytail. They make people have a more natural look. They are also lighter because of knotted hair strands. However, everything has both positive and negative sides. Full lace wigs still have some small disadvantages. They are usually slightly more expensive than front lace wig. Because of they totally made of lace and every single hairpiece knotted by hand. Where can you buy a good wig? Finally, lace front wig hairstyles are the bestseller which most customers are satisfied with. Layla company collects the hair from only one donor so that all hair strands stay aligned in the natural direction as it grew. Hence, the hair can maintain the natural texture pattern and cuticle direction. It is difficult to shed or tangle. The users will find it really comfortable and convenient to wear. In Layla company, we always use the standard materials which can create the best lace wig all over the world. They are 100% Vietnamese human hair and Cambodian human hair. Both of them are really beautiful, strong, and shiny. Because they took care of with love and natural hair shampoo as well as the hair conditioner. We are two type of lace wig hairstyle include lace front wig hairstyles and full lace wigs hairstyles. But both of them these are really gorgeous and beautiful. The lace front wig hairstyles are the best because it has an invisible hairline. When worn properly the end result is an undetectable hairline giving the illusion that the wig hair is actually growing out of your own head. Especially, no one will know that you are wearing a wig unless you tell them! And even when you tell them… they can’t believe it until you let them touch it! lace front wig hairstyles are usually more lightweight and much more comfortable than an ordinary wig. The human hair lace front wigs will bring for you have more versatility to style it different ways which also adds to the believability and natural look! With Layla’s lace front wig hairstyles, you can enjoy your closure with confidence knowing that you’re investing premium quality virgin hair that designed to last for years. Moreover, Layla has a lot of types of lace wig for sale such as deep body wave wig, deep wavy weave wig, deep wavy blonde wig, deep side part wavy hair and so on. We provide products with a lot of kinds of colors. Go to Layla Hair to get new lace front wig hairstyles and make your life more beautiful.